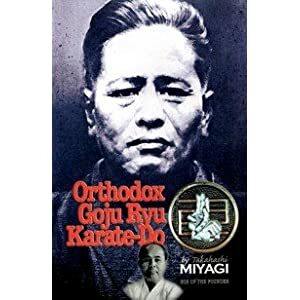 Miyagi Chojun started Karate training learning Shuri-te before beginning studies of Naha-te with Higashionna Kanryo. In 1915, in order to further his research, he travelled to Fuzhou, China where his Sensei studied. When he returned to Okinawa he taught & founded his own style of karate, which he named Goju-Ryu. (Hard-Soft). Gojo-Ryu was the first Okinawan art to be registered at the Dai Nippon Butoku-Kai, the centre for all martial arts in Japan. 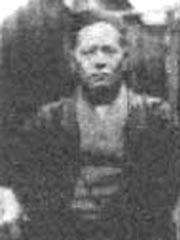 One of his notable students was Gogen Yamaguchi (1909-1989). 1) The mind is one with heaven and earth. 2) The circulatory rhythm of the body is similar to the cycle of the sun and the moon. 3) The way of inhaling and exhaling is hardness and softness. 4) Act in accordance with time and change. 5) Techniques will occur in the absence of conscious thought. 6) The feet must advance and retreat, separate and meet. 7) The eyes do not miss even the slightest change. 8) The ears listen well in all directions.